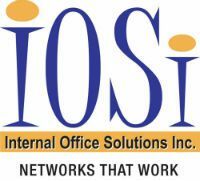 IOSi has taken great pride in supporting non-profit organizations across North America for more than 15 years. IOSi has forged many long-lasting relationships with non-profits across various industries, including healthcare and mental health services. With exclusive access to non-profit vendor incentives and service models, IOSi will work with you to build an IT solution that fits your unique requirements. The work you do is important, but you can rely on IOSi to ensure this work is protected.